Am doing quite the opposite-almost no painting during winter, mainly construction. During spring,summer and autumn I do both construction and painting, providing temperatures allow it. Which was not always the case this summer with it's hot waves (40 grad Celsius)-particularly when I was building the Backanhaenger. Then-as Mike suggested in one of his posts- very often I felt almost like a reenactor-building and painting an oven in a hot oven. And some pictures found on the net-among them a superb walkaround from a French museum(ASPHM), whose site I highly recommend. Clearly Angel you love a challenge! Have you looked at the carriage to the "Alan" models 88. They look very similar to your photo. It would be a good starting point I think. the biggest challenge will be finding suitable tires. Greg, thanks for the hint! I am affraid Alan's-nowadays Ark Model's-88(8.8 cm. 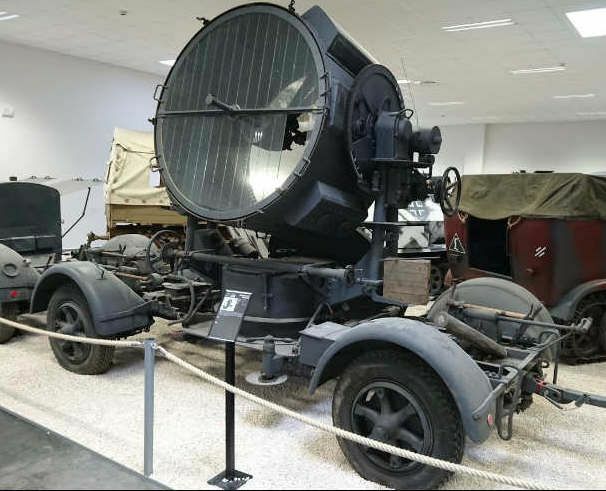 PAK 43/41) won't suit because it was transported on Sd.Ah.204. 104 and 204 do really look similar, but 204 carried bigger payload. 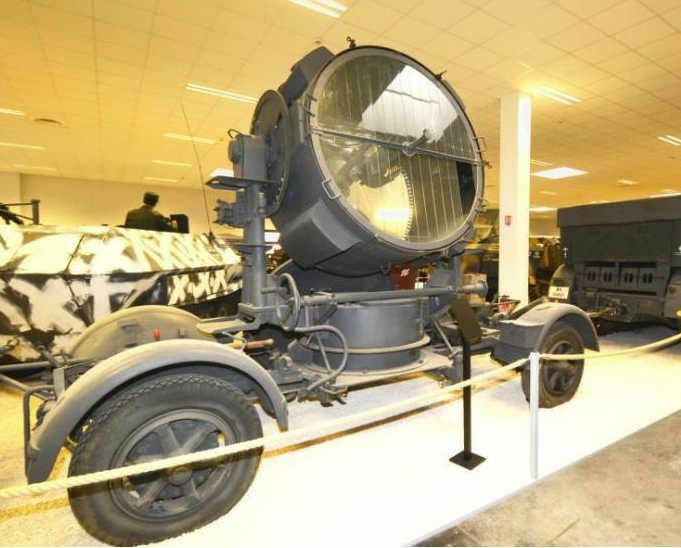 This probably WON'T be a viable suggestion but someone (I believe either Plus Models, Real Models or Azimut) makes the large searchlight in resin on the 104 trailer. I suspect they would be willing to sell the trailer seperately. 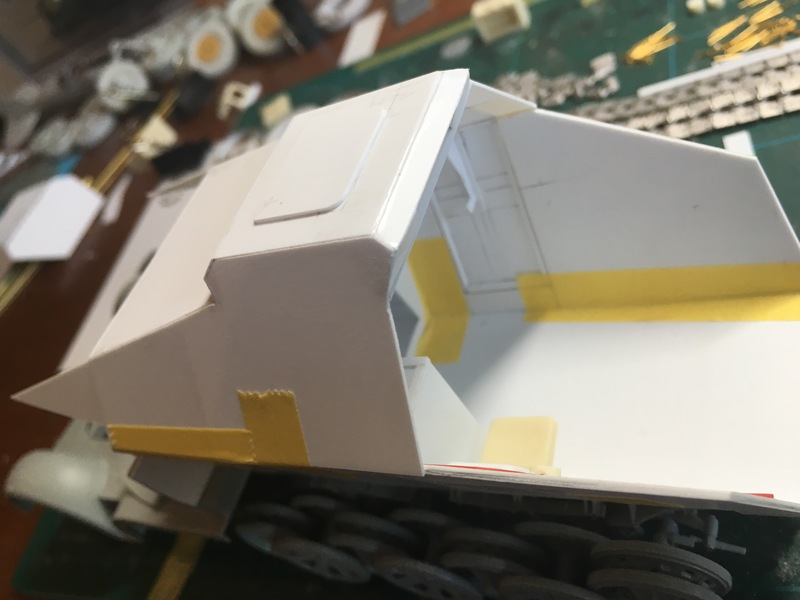 However between the trailer and the listening equipment the trailer I think, would be the easier portion to scratch build. Maybe just try to purchase the wheels/tires. This is probably a real stretch but both Blast Models and Azimut make resin replacement wheel sets for the AHM truck. You might have to buy two sets to get what you need but any possibility these would work for you? 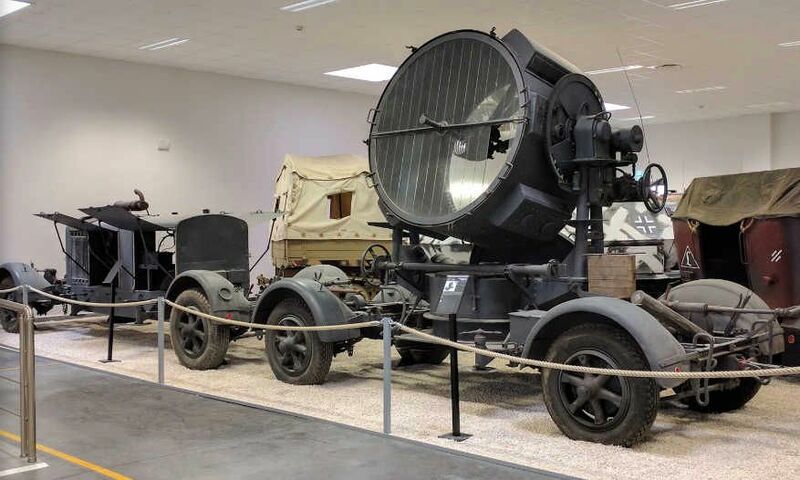 I know this is a bit of a drive but if you need a hands-on reference there is the new museum: MM PARK MUSEUM, LA WANTZENAU, ALSACE, FRANCE has two 104 trailers one carrying the 150cm searchlight and one with the accompanying generator. 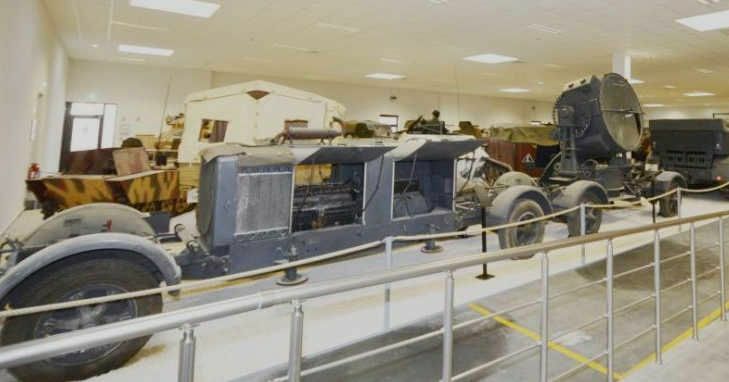 Frenchy - You really should check out this Museum if possible. I certainly wish I could make the trip!!!!!!!! DesKit of France is doing both the 150 cm. 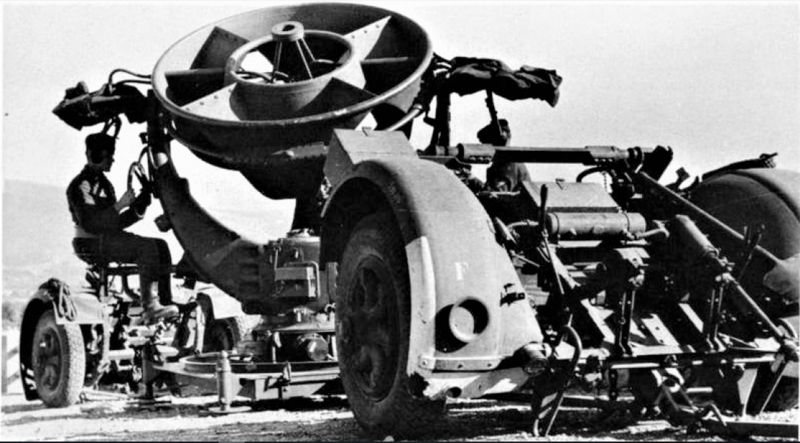 Flakscheinwerfer and the Maschinensatz for it. About the tires-my options curently are resin sets of tires either for Henschel 33D1 or Krupp L3H163.I've build the Renault AHN of ICM(it was the second most important truck in Bulgarian Royal Army-after the Blitz), but I totally missed to consider it as a possible vendor...Unfortunately AHN tires show same problem-they are too narrow(approx. 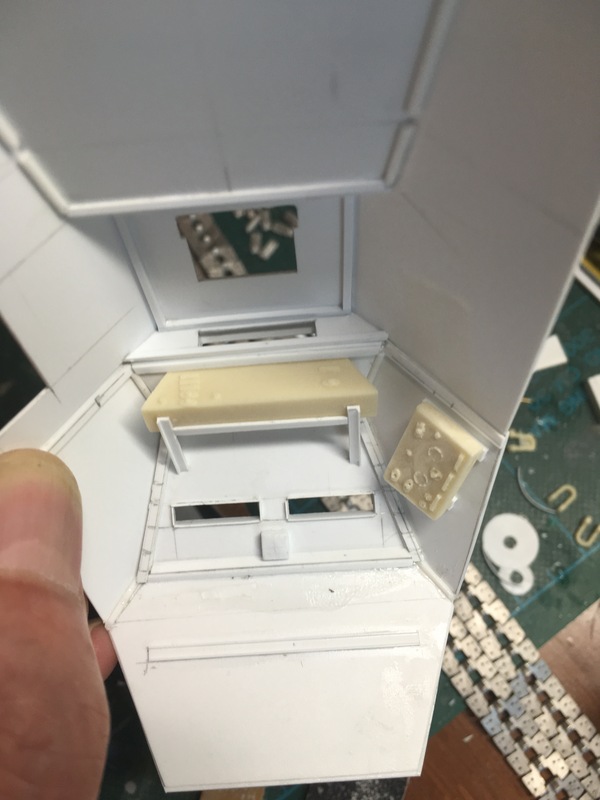 1 mm less width). Tomorrow I'll check whether the tires of Sd.Kfz.7 are not a better solution. Then I'll buy and ask a friend of mine to cast me some copies-at least 10, because I have plans for 2 additional scratchbuilds on Sd.Ah.104 trailer. This newly opened museum in France is a real treasure. Last weekend I found a wonderfull walkaround of the vehicles on Sd.Ah.104 there and have put Wantzenau on my to-visit list. Relative to the size of the Sd. Kfz. 7 wheels and tires please know that the tires that came with the old Tamiya 8 ton and the Flak 88 were much smaller in diameter than the currently available resin replacements. I bought some civilian replacement tires for one of my old Tamiya Sd. Kfz. 7's and for a moment I worried the new tires might not fit under the fenders. 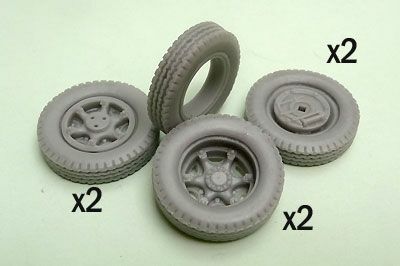 Here is a comparison photo of the smaller diameter, old Tamiya rubber tire and the new Voyager resin AM offering. Please also consider that in this photo I have already sanded a flat into the bottom of the resin tire AND sanded off the rather sharp shoulders of the Voyager cast tire in order to make it look smaller when installed on my old Tamiya kit. I have some concern that the old Tamiya tire might still be too large for the 104 trailer which is why I suggested the AHM tire. 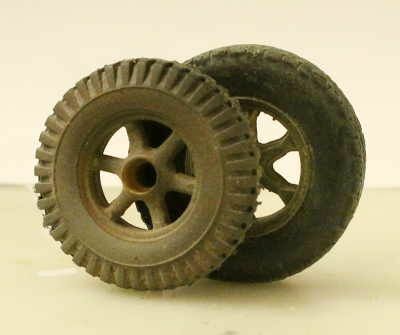 The Tamiya tire measures 1 - 3/16 inches or 28mm in diameter. Mike, thanks for the effort. I think I have a winner, and it is the 8.8 cm Flak tire size. The Henschel and Krupp tires mentioned in my previous posts are too narrow(170 mm true size vs. 210 mm true size by Sd.Ah.104). 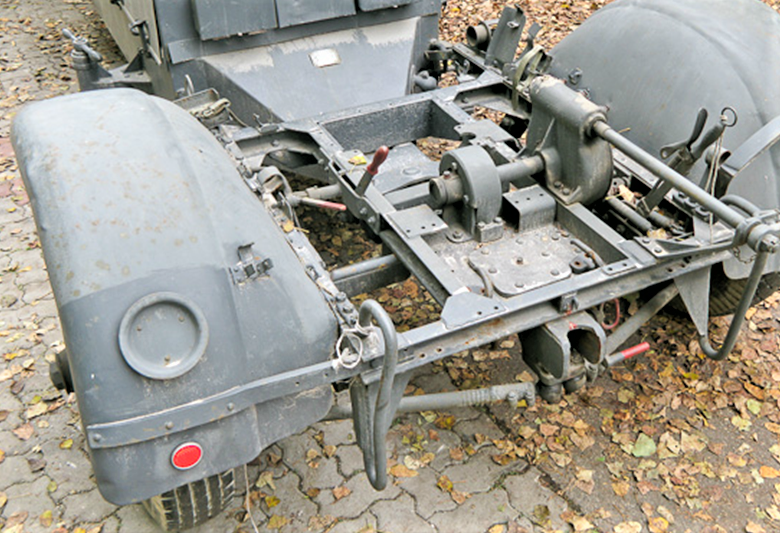 Sd.Kfz.7 tire is also not suitable, because it is wider(235 mm. in real life). Sd.Ah.202, that carries the 8.8 cm. Flak 36/37, had tire width of exactly 210 mm.Armorscale of Poland is offering a resin wheels set for Dragon's Flak that includes 8 tires. Angel what is your plan for making the fenders for the 104? I just cut up a set of old Tamiya Flak 37 fenders to use on another "farm wagon". If I had it to do over I would narrow them and try to build a 104. Don't really want to invest that much money but I may have to spring for the 150 cm. 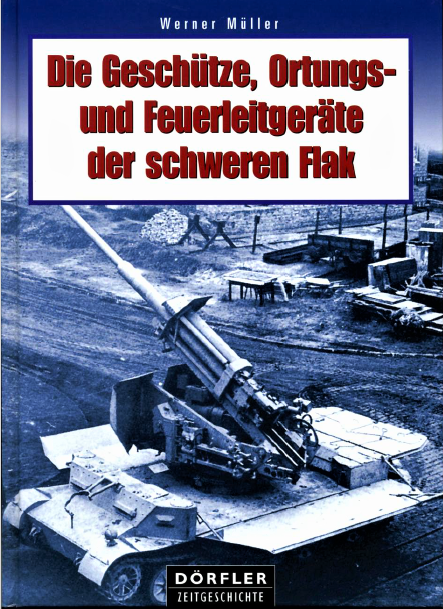 Flakscheinwerfer and the Maschinensatz from DES. Have wanted these two items for a long, long time. The fenders are the next big challenge. -forming them with burnishing tip from thin copper sheet.Tried today, it is doable, but due to the complex curvature each fender must be split into 2 separate pieces, joined by soldering. -doing masters from wood and sort of vacuum-forming them from styrene. "Sort of" because I don't have vacuum former. -forming them with Miliput on wood masters.Not sure wouldn't they break easily once curred. Each approach has it's pro's and con's.And for sure there are other ways. Des Kit products are really good- and not so expensive when compared to recent plastic releases of some particular brands. From the shape of the fenders it sounds like Vac-Forming would be the way to go. That process most resembles the stamping process that made them way back when in the first place. Home built Vac-Former??? Sheet styrene, hair dryer and the intake side of a fairly good air compressor???? YouTube video on building your own small Vac-Forming frame. Uses your home vacuum cleaner for suction and he uses his kitchen stove to pre-heat the plastic !!!!!! Guys - - you are doing pretty unbelievable work on those trailers - in terms of construction (beautiful) and research! 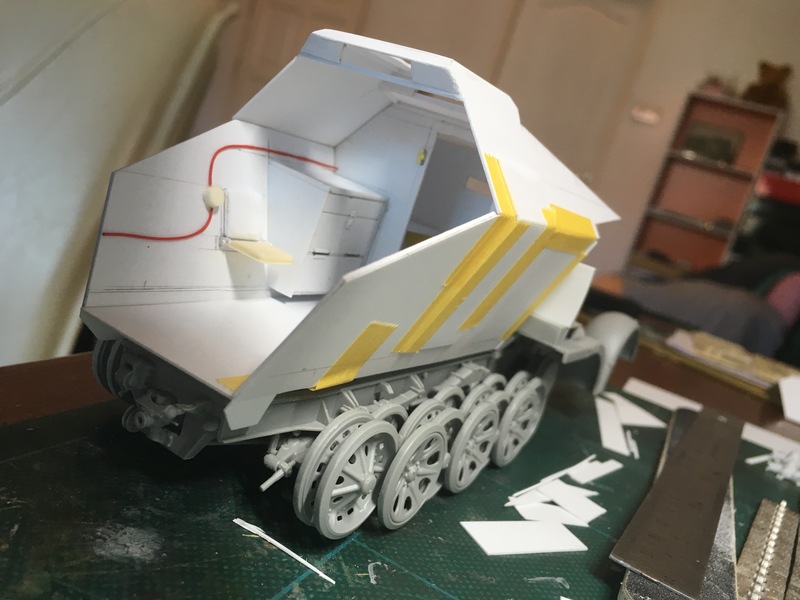 The mobile spotlight will be a fun build to watch! No, the optivisor never came off of my head! 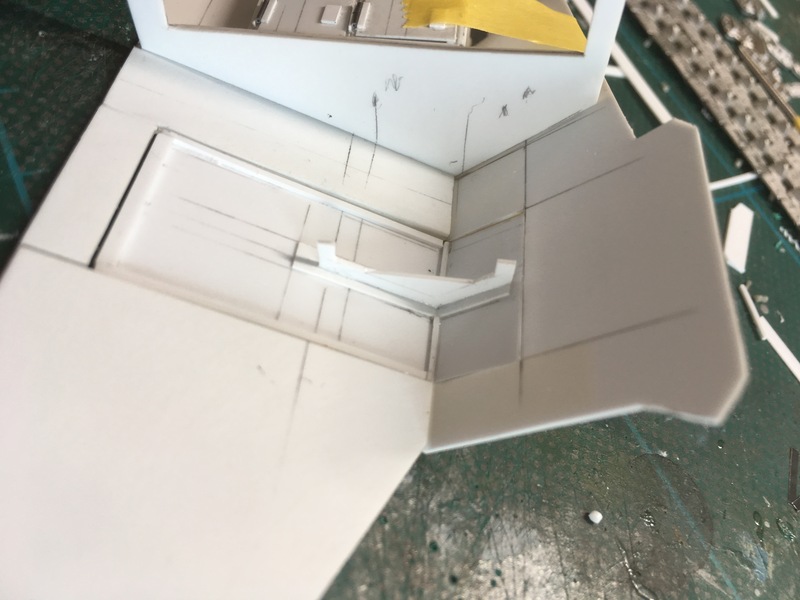 these parts are small...!!! 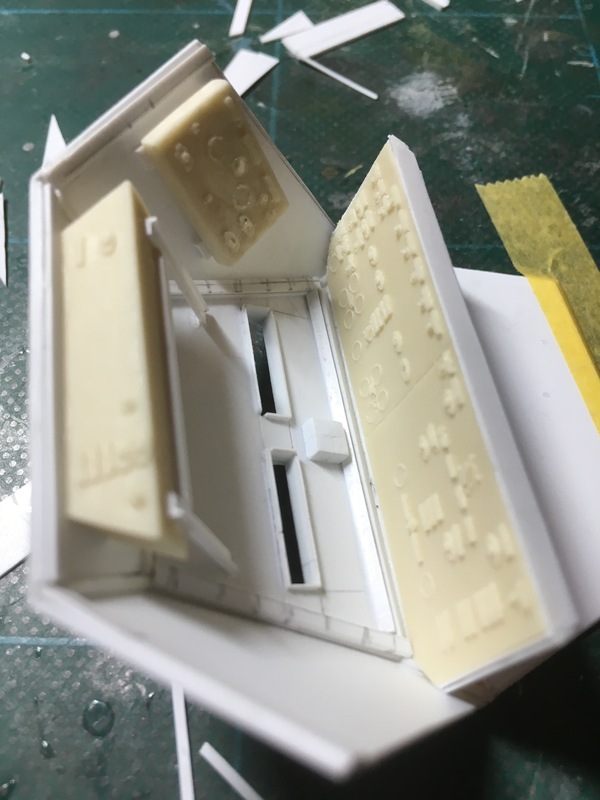 I am by no means remotely any sort of T-55 expert - but I can say, I have really enjoyed this build - went together pretty well - getting the ERA block brackets to work in a few cases was as hard as the tiniest bits of etch - but, so far so good - now on to some paint - and, yes, in this case obviously, some heavy weathering. Love your t-55 Nick, that's a ton of work! Looking forward to the painting process. Truck looks good also, nice work getting all those wheels to sit right. Just wanted to share this link. 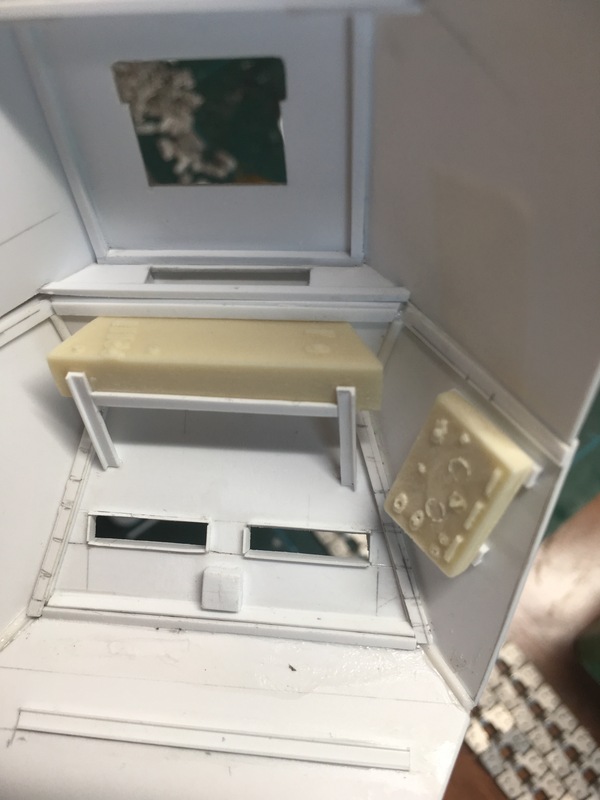 Shows a lot of basic, but also very high level scratch building. Read it, nice subjects! 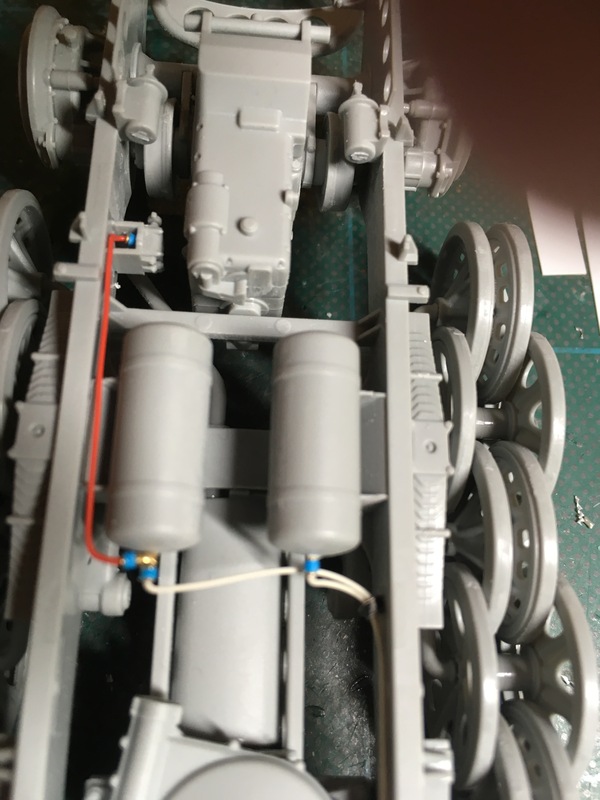 Been working on the Feuerleitpanzer the last two week. 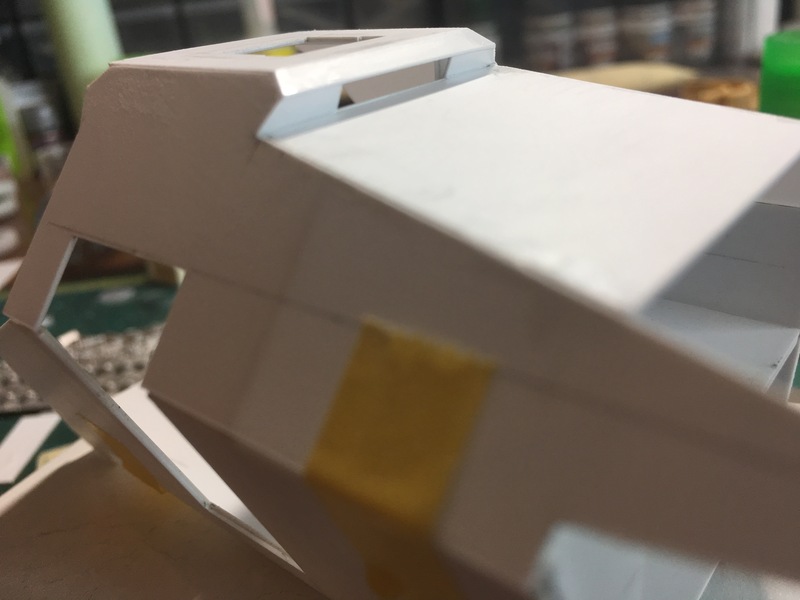 A lot of dry fitting and giving strength to the body of the Panzer. 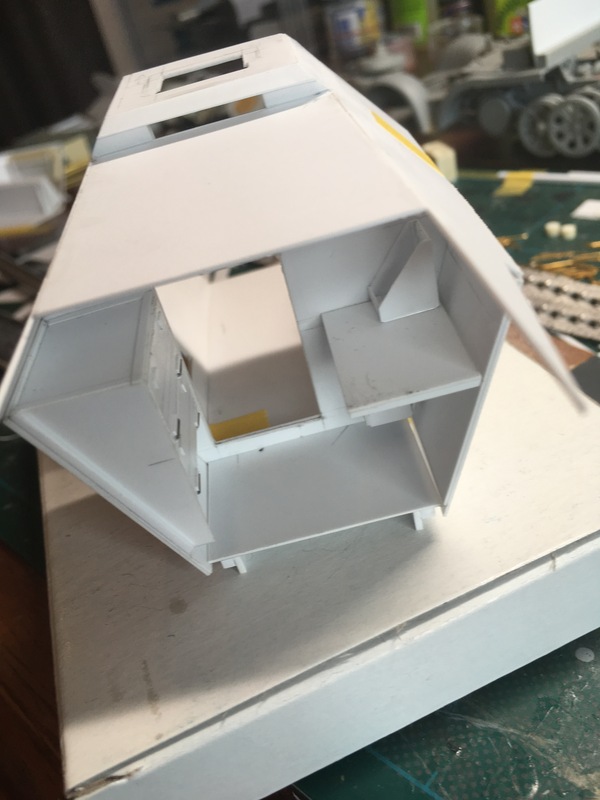 Made the swing door, roof and visors. 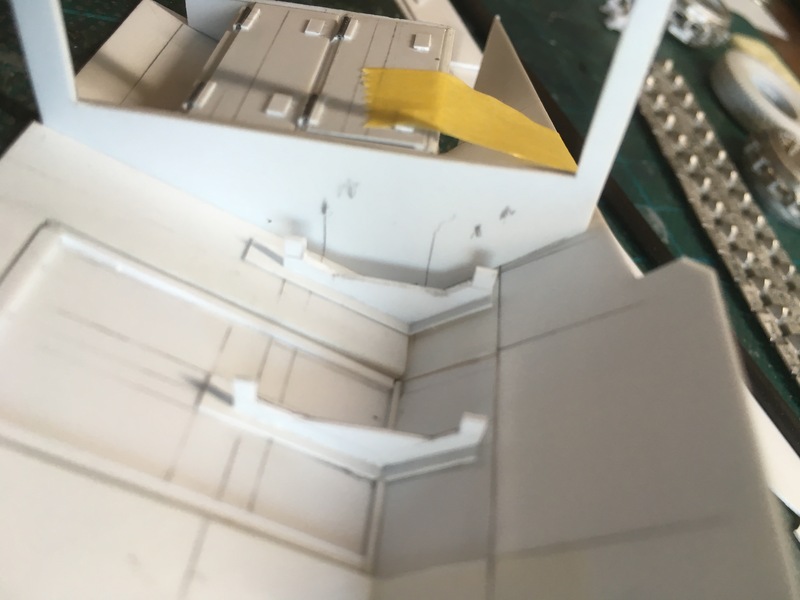 Now the roof can be my lead for the final fix, that was my thinking in short. That turned to be a good idea, but the backside gave me lot of trouble. Backside is almost ready and to cut away sides would throw me back in the build. 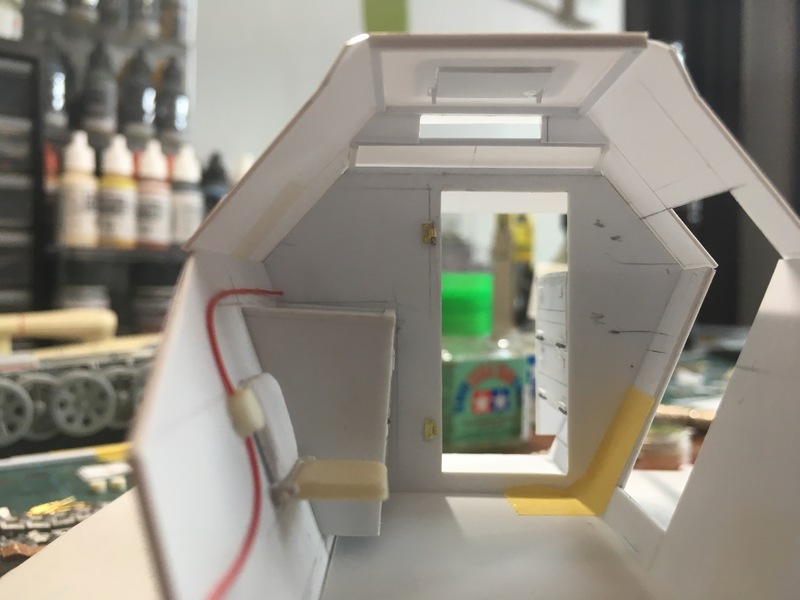 Finish of the backside including the inner walls will be my next step and try to get some paint on. Lots of work to do. Noticed that one cabinet is totally of the hook now. So surgery to be done. Also worked on some Sd.Kfz. 7/3. 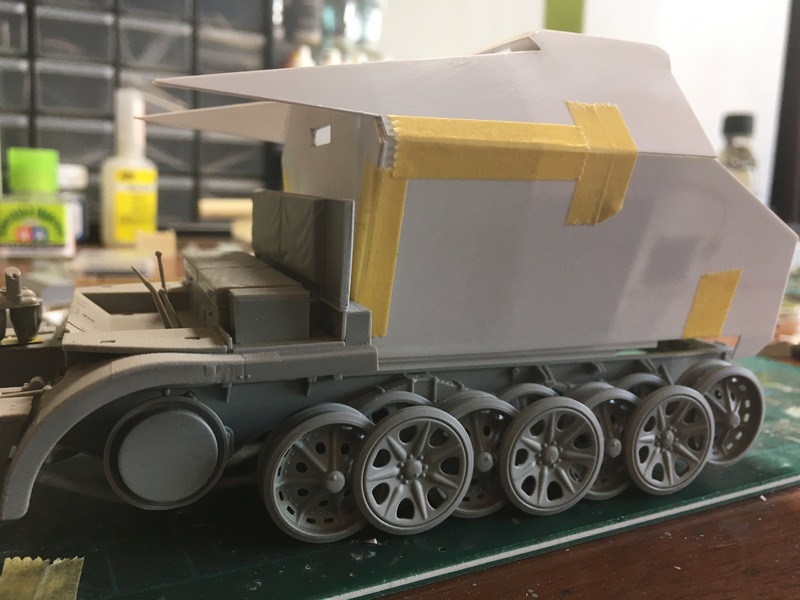 Link I provided one post earlier is a treasure for halftrack builds in the future. Hope you all like it so far. Nice work going on here as always! At this point, I'm a bit embarrassed to be showing this - while it involves lots of modifications and was adequately frustrating, maybe not up to what you guys are doing otherwise! So, for today, I'm calling the truck, trailer and tank done! or, almost, done! The trailer needs some attention - but, it's close. First up, you'll see some pics of cargo tractors pulling tanks on trailers - I include these, as on another thread, there has been quite a bit of discussion in regard to what can and can't pull the T-55....I'm satisfied my tractor can pull this trailer! So, not the same, but I will live with it!